There’s certainly no lack of quality journalism surrounding the attacks of September 11, 2001, especially on the 15th anniversary of that tragic day. This piece from Politico, however, stands out for its simplicity. 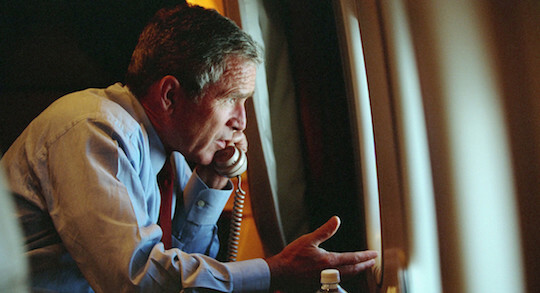 The report follows the day's events through the unique perspectives of those in the company of President George W. Bush, who, in the immediate aftermath of the attack, spent nearly eight hours in empty American airspace aboard Air Force One.